Sixty persons representing 25 congregations in northern Illinois gathered on Saturday, August 25, for lively conversation about how to confront and challenge racism as it impacts the lives of our children and youth. The Colors of Love: Raising Children in a Racially Unjust World workshop featured a presentation from Dr. Jennifer Harvey, professor of religion at Drake University, whose research addresses the encounter between religion and ethics, race, gender, activism, politics and spirituality in the U.S. Dr. Harvey challenged parents, clergy, and educators to consider how to be effective in making their children aware of U.S. racial realities, while simultaneously nurturing their children’s emotional resilience and a healthy sense of racial identity. In particular, Harvey used personal stories to demonstrate how the common approaches of “colorblindness” and “diversity” fall short in responding to our deeply racialized and hierarchical society. 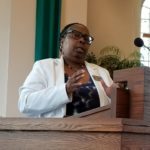 She offered suggestions for how parents and church leaders can stretch themselves to adopt “antiracist” ways to communicate with and empower our children and youth. 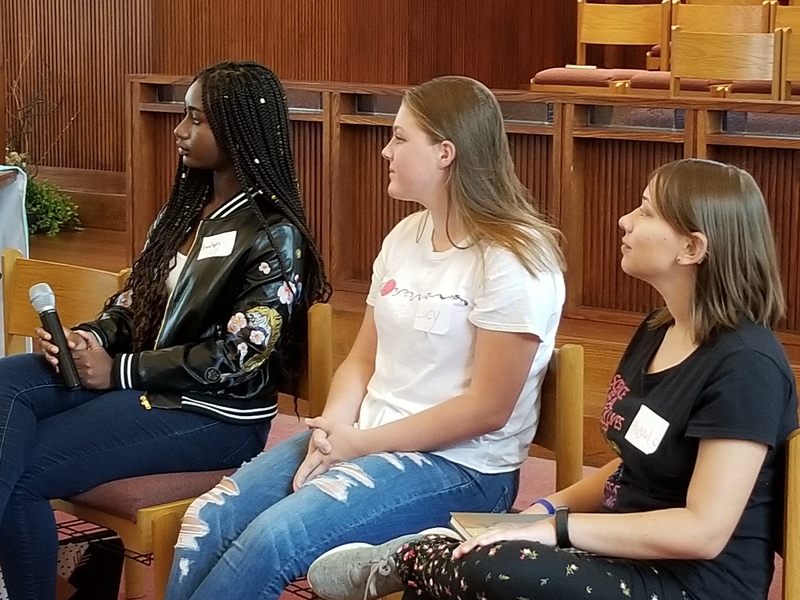 Following Dr. Harvey’s provocative presentation, three high school youth shared their personal experiences and reflections on how they have confronted racism in their lives and relationships. Lucy Hermann (Trinity UMC, Mt. 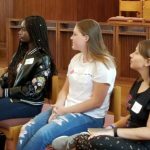 Prospect), Abigail Mendoza (First UMC, Park Ridge) and Jaelyn Pirtle (Gorham UMC, Chicago) talked insightfully about what they have learned and who has influenced them in observing and challenging racism at their schools, churches, and home. Rev. 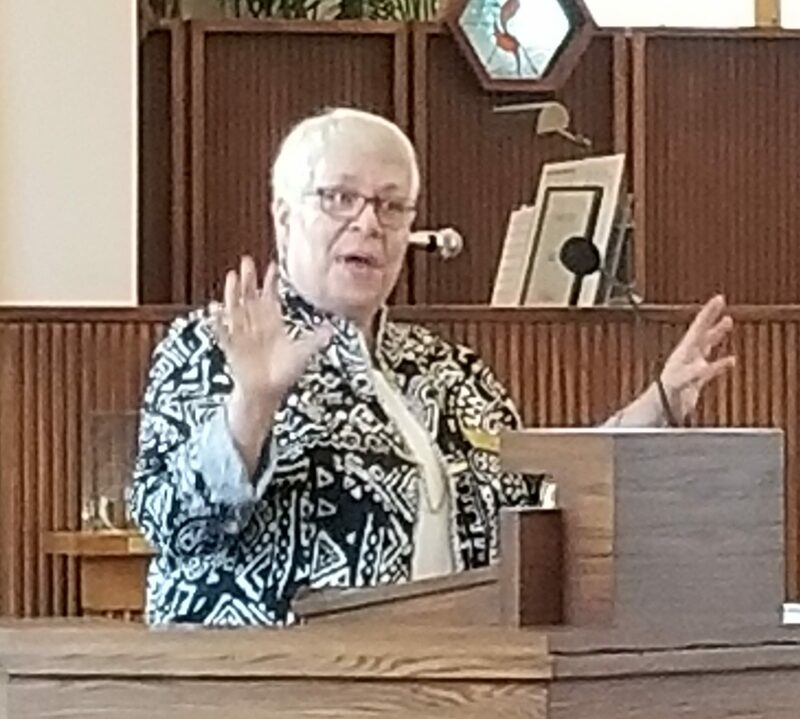 Darneather Murph-Heath, Elgin District Superintendent, opened the workshop with a prayerful and impassioned invitation to the attendees to be open to being changed by what they heard that day—and then to be that change they want to see in their families, communities, and churches. 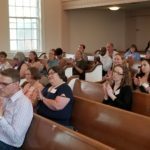 “I appreciated Dr. Harvey’s caution that if parents, teachers, church leaders and other caring adults practice ‘white silence,’ our children’s default formation about race will come from TV, friends, school, social media, and others. White silence occurs when white people become silent in the face of racism rather than engaging our children by stepping in and stepping up to name, confront, and challenge actions as racist. Ignoring manifestations of racism by silence fosters and festers racism,” reflected Kim Coffing, United Voices for Children (UVC) President. Colors of Love: Raising Children in a Racially Unjust World was sponsored by United Voices for Children (www.unitedvoicesforchildren.org) in collaboration with First UMC Elmhurst, Christians Engaged in Faith Formation, Commission on Religion and Race in Northern Illinois and the Northern Illinois Conference of the United Methodist Church. 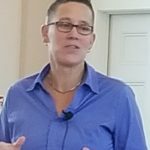 Dr. Jennifer Harvey’s 2017 book, Raising White Kids: Bringing Up Children in a Racially Unjust America is published by Abingdon Press and available from Cokesbury.